When you spend a considerable amount of money on something you will use frequently, you want to ensure you’re getting the best price possible. You also want to feel as though it’s worth your effort and commitment. This is definitely the case when you buy a new car. The last thing you want to do is get into a situation where you feel as though the dealer took advantage of you or you’re not getting the benefits for what you paid for. This is why it’s critical that you’re certain you’ve found good INFINITI QX60 pricing before you drive the vehicle home to Laplace, LA. It won’t matter what the INFINITI QX60 pricing looks like if you haven’t organized your budget. Before you can shop for a vehicle, you need to know where your finances stand and how much you can afford. Carefully look at all your monthly expenses and income. Then evaluate how much you have left over to comfortably spend on a new vehicle. Once you establish a price range, you can go shopping. Don’t deviate from that range, no matter how much a fancy vehicle entices you. It’s much easier for Laplace, LA, residents to find the right pricing than it was before the internet. Today, you can sit at home on your laptop, tablet, or smartphone and research as much as you’d like. Look up QX-60 models near you and compare pricing from place to place. Make sure you include all the features you need in your search. Get as many quotes as you can find. Don’t forget this important part of searching for INFINITI QX60 pricing. The car may look great to your eyes, but you can’t know for sure the pricing is worth it until you sit in the driver’s seat and take it for a spin on the highway and city roads. When you test-drive, you get a better feel for how the car handles the road. You can get a better sense of how well it stops and starts. This also gives you the chance to assess the interior space and other handy features. As you drive the car with the sales associate, ask questions about the vehicle. If you do these three things, you should have confidence that you’ll find the right INFINITI QX60 pricing. 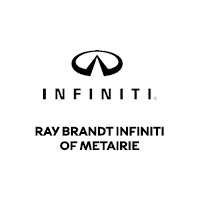 Instead of running all over Laplace, LA, come to Ray Brandt INFINITI and check out the options.